Classically styled, below knee length breeches. 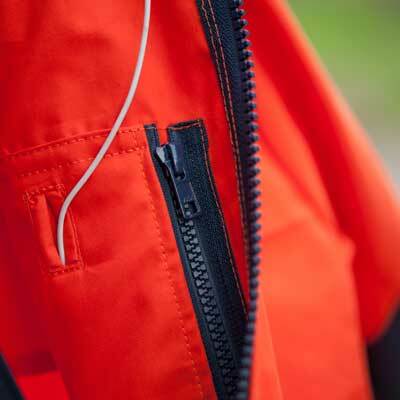 Made from Hilltrek's unique Cotton Analogy® fabric which combines a Ventile® outer with a Nikwax Analogy® inner, our Canisp breeches are fully waterproof, warm and durable - perfect for foul weather activities on the hills and moors. These hard-wearing breeches feature reinforced knee patches and the knee gusset gives added comfort and ease of movement. As with all Hilltrek Cotton Analogy® products, Canisp breeches have minimal rustle making them good for field sports, walking, nature watching, photography and bushcraft. Canisp is a cone shaped mountain in the far north west of Scotland situated in the parish of Assynt with beautiful views. Find out more in our Glossary. Take a look at our Clova Breeches for an alternative in our double Ventile® fabric.